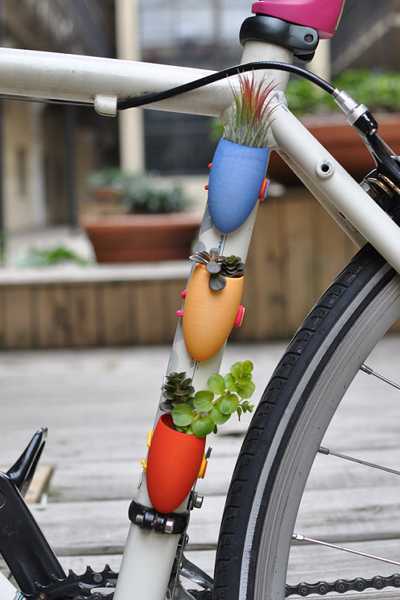 Miniature planters in bright colors give an unusual fine touch to your bike, allowing you to take small plants with you wherever you cycle and let people enjoy your mini garden design. 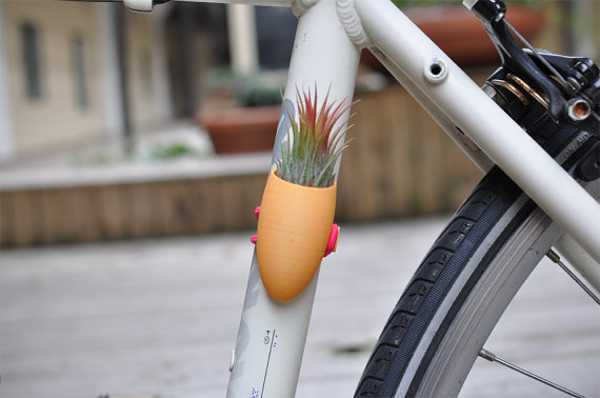 Growing plants and flowers, combined with cycling, are fantastic combination for a green-minded lifestyle. Unusual and attractive, mini garden design on a bike will make people smile, creating a wonderful atmosphere and bringing more joy into your life also. Miniature garden design is a unique opportunity to grow plants and cycle simultaneously. Biking with your small plants on a frame is fun. 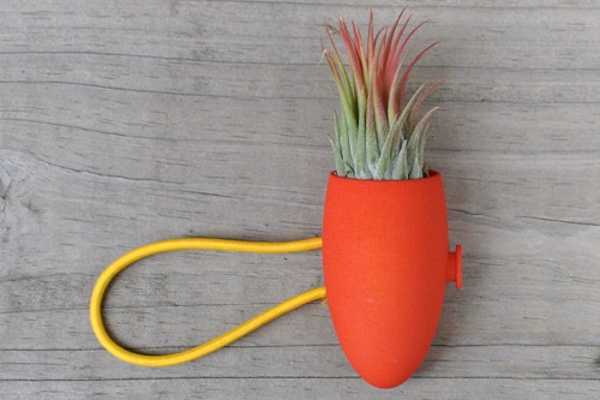 Portable miniature planters features a contemporary design, vivid colors and a convenient cord. A wonderful green design is an easy way to take your garden with you. 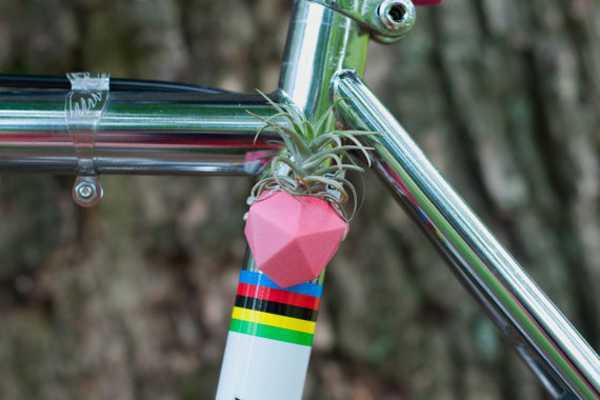 These mini planters, designed by Etsy seller Colleen Jordan, attach snuggly to a bike’s frame with nylon cord, allowing cyclists to add unusual floral decorations and green design to an already eco friendly way of traveling. Each of these little bike planters are manufactured individually using the latest in 3d printing technology. The bike planter is created digitally with modeling software and is then 3d printed out of nylon and hand dyed red and sealed. Due to the hand dying process, the color of this planter may vary slightly. This planter works best with a clipping from a succulent that has been allowed to take root or a large air plant.